Ambition, quite possibly life's most important trait. Without it, good luck in this world. 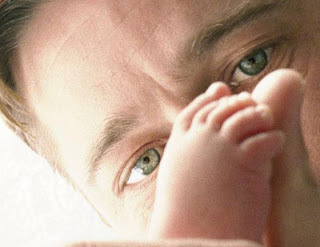 Reclusive director Terrence Malick definitively understands that, 'The Tree of Life' is one of the most ambitious films ever made - attempting to intertwine the family dynamic with the origin of the very universe. If you aren't up for a challenging sit - steer clear. The message at the middle of 'The Tree of Life' is revealed just seconds in by the mother of the 1950's family in focus, the O'Briens: people must follow a path of grace or the path of nature. While Mrs. O'Brien (a strong Jessica Chastain) embodies the former, Mr. O'Brien (an Oscar-nom-worthy Brad Pitt) is a firm follower of the latter; raising his three young sons in a rather totalitarian style - the anger with the way his life has turned out transferred to his offspring. How our childhoods affect our later lives is at the center of Malick's discussion - the movie is largely played out through the eyes (both young and old) of the eldest and most harshly dealt with of the three, Jack. The role split between Hunter McCracken and Sean Penn and awkward is the end result. The flash forwards of Jack's adjustments to his stern upbringing don't carry the weight that Malick designed them to have. The fact that Penn is playing the elder Jack doesn't exactly help - he's not an actor that allows an audience to empathize with him - at least not here. What makes 'The Tree of Life' so impactful is Malick's grandiose vision - challenging you with the fusion of a family portrait to visions of the seeds of life, replete with nebulae, planets and yes, some dinosaurs for good measure. While it doesn't leave you as breathless as Malick would like - 'The Tree of Life' will stir your soul and make you think - which is an outcome that every moviemaker should aspire to create.